When Alex “Hurricane” Higgins was playing, snooker was big and I mean really big. The snooker players at the top of the game were like rock stars and one of the players, who lived a rock and roll lifestyle, was Alex Higgins. Higgins was the bad boy of snooker and was forever getting in bust-ups and fights, both on and off the snooker table, but when he was on form, he made smoker exciting and the pace that he potted the balls was breath-taking. The three big names in snooker back then were Alex Higgins, Steve Davies, and Dennis Taylor. Each of them brought their own personality to the snooker tables, but it was Alex Higgins, who was the one everyone loved to watch. 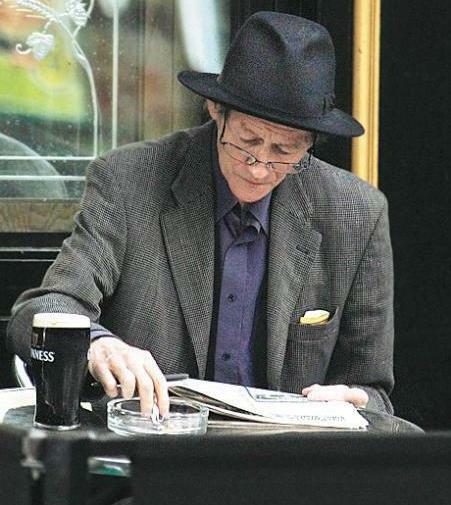 Sadly, Alex Higgins died penniless and a shadow of his former self. Here are ten facts about Alex “Hurricane” Higgins, the man who put snooker on the sporting map. Alex Higgins was born in Belfast, and he started playing snooker as young as the age of 11. At the age of 14, he set out for England to start a career in horse racing as a jockey. Even at that young age, Higgins was partial to a drink and his career as a jockey was short lived, because he kept putting on too much weight through all the Guinness he drank and the chocolate he ate. Alex Higgins gained the nickname “Hurricane” because of the speed that he potted balls and the flamboyant way he moved around the snooker table. 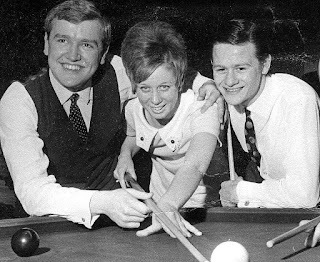 I was working one of the theatres that hosted the big snooker tournaments back then, and I saw the likes of Alex Higgins, Steve Davies and Dennis Taylor play. When Higgins was on fire, it was just amazing to watch. He could clear a table in minutes and it looked like he was hardly even trying. Alex Higgins went professional at the age of 22 and he won the World Snooker Championship at his very first attempt in 1972 when he beat John Spencer in the final. At that time, Higgins was the youngest person to have ever won the championship and his record was eventually beaten by Stephen Hendry in 1990. When Alex Higgins won his first Snooker World Championship he was homeless and he turned up to play wearing white trousers and a tank top. That wouldn’t be the last time that his appearance and behaviour ruffled a few feathers in the world of professional snooker, but that was part of his appeal. One of the constant battles that Alex Higgins had with the governing body of snooker, the WPBSA, was over his appearance. While the likes of Steve Davies, and Dennis Taylor always turned up to matches looking pristine, Alex Higgins refused to wear a tie. When they did get him to wear one, he always took it off during the match anyway. Not wearing a tie was the least of the worries of the WPBSA when it came to Alex Higgins . In the course of his professional career, Higgins head butted referees, trashed hotel rooms, and peed into a plant pot when he didn’t want to waste any practice time going to the bathroom. He also played one game with blood dripping from his arm after he had taken a fall outside a pub in Blackpool. In the course of his career, it is estimated that Alex Higgins made over £3m in prize money and fees. Unfortunately, fame, fortune, and Alex Higgins didn’t mix well and he blew much of his winnings on alcohol and gambling. His behaviour, on and off the snooker tables, also lead to a number of bans, which meant that he had to keep on clawing his way back up the rankings. Higgins’ lifestyle caught up with him in the end and he had several bouts of mouth cancer and throat cancer. He had lost all his money and he lived in a caravan for a while. The radiotherapy treatments that he had undergone for his cancer caused all his teeth to fall out, which meant that he was living on a diet of liquids and baby food. When he died in 2010, he was living on state disability benefits in sheltered accommodation in Belfast. I have deliberately not dwelled on the terrible way that Alex Higgin lived out the last few years of his life. The man should be remembered for what he did for the game of snooker, not his sad end. He inspired payers like Ken Doherty, Jimmy White and Ronnie O'Sullivan, as well as thousands of kids in snooker halls around the country. He also entertained millions with his “Hurricane” style of play and his antics. That’s why he was called the “Peoples Champion” and that’s how he deserves to be remembered.